Perfect refillable container for home or industrial use. Comes in small and regular sizes. Small size is convenient enough to store in your vehicle. Our Marine Grade product in a convenient sock. For use on lighter than water fluids such as oil & fuels on water. Works just like our regular absorbent socks! Perfect for applications where loose product is not desired. Can be used like a mop to clean up right away or it can be deployed as stationary to address long term needs. Our spill kits a re intended for use on vehicles. 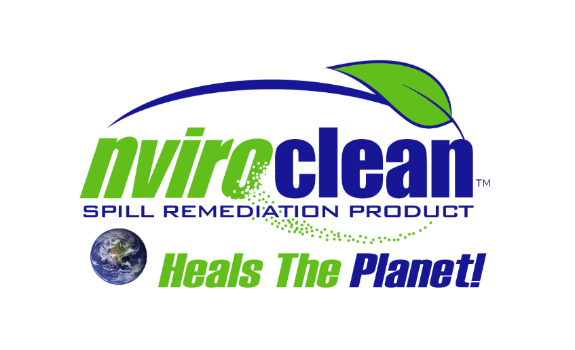 All kits include a 5 lb bag of Nviroclean, splash goggles, and nitrile gloves for protection when remediation of chemical spills is a necessity. Great for removing stains on concrete and other surfaces. Removes oil, silicone, rubber, and other stains. Great for cleaning parts. Environmentally friendly, biodegradable cleaner. No SARA title 111 reportable ingredients.